Looking for private in-home or in-studio Flute lessons? Our Post Falls teachers are ready to get you started. Find your teacher today! Check out some of our most popular teachers near Post Falls, ID including Spokane, Sandpoint, Newman Lake and Coeur d Alene. In my studio, I believe that my role is to steer students toward a deeper understanding of themselves, their instrument, and their relationship to music. I tailor my teaching to the needs of my individual students, who currently range from age 7 to adult, often adding improvisation and extended techniques to increase my students awareness of the potential of the flute as a channel for ones creativity. Flutist, Roberta M., is equally at home playing classical and new music. I Care If You Listen has extolled her “lush, full tones… even among the best professionals, not many flute players sound so compelling in a lower register.” Praising her “extreme adventurousness,” New York Concert Review said she “riveted with her performance, inspiring one to want a repeated hearing.” Roberta is a founding member of the Cadillac Moon Ensemble, a quartet of unusual instrumentation dedicated to commissioning and performing new works. To date, the group has commissioned over fifty pieces. elen O’Connor, Alexa Still, and Jean Rosenblum. Roberta resides in Brooklyn, New York where she teaches privately and is on faculty at Great Neck Music Conservatory. Roberta has performed with groups including Duo RoMi (with pianist Mirna Lekic), the Portland String Quartet, SEM Ensemble, Wet Ink Ensemble, Argento Chamber Ensemble, Wordless Music Orchestra, Ensemble Moto Perpetuo, Lunatics at Large, Kagel Nacht, Philharmonic Orchestra of the Americas, Cheyenne Symphony, and the Greeley Philharmonic in venues including Lincoln Center, Carnegie Hall, Alice Tulley Hall, Merkin Hall, The Kennedy Center, Bargemusic (with tenor Robert White), and the Metropolitan Museum of Art. As a guest artist, she has appeared at Bloomsburg University and the University of Southern Maine. She has recorded on New Dynamic Records, Meta, Bridge, and Innova Records. Roberta has been a Bang on a Can Summer Institute fellow and a participant in the Institute and Festival of Contemporary Performance at Mannes College, as well as participating in festivals at Banff and Domaine Forget. Roberta recently won the Artists International Special Presentation Award and was presented in her debut recital at Carnegie Hall’s Weill Recital Hall. Other awards include: Purchase College’s Baroque Concerto Competition, Bay Chamber Summer Music Woodwind Prize, Dante Alighieri Society of Denver Music Scholarship, and the Emily K. Rand Award. In my studio, I believe that my role is to steer students toward a deeper understanding of themselves, their instrument, and their relationship to music. I tailor my teaching to the needs of my individual students, who currently range from age 4 to adult, often adding improvisation and extended techniques to increase my students’ awareness of the potential of the flute as a channel for one’s creativity. With over a decade of teaching and a doctorate in flute performance, I have extensive experience teaching flute lessons and recorder lessons to students from beginners to advanced. I teach at my studio in Brooklyn or can come to your home in New York City. I have previously taught in Colorado, Westchester, NY, and throughout New York City. I've been on faculty at The Harmony Program and the Denver Public School’s Saturday Music Program, where I taught beginning flute classes to public school children. I have given masterclasses at the University of Southern Maine and the Pittsburgh Creative and Performing Arts High School, and have taught music classes at Purchase College and Hostos Community College. I have a studio with music stands, flutes, recorders, an upright piano, and place for parents to wait. Street parking is available, and I'm less than a block from the subway. Students are expected to bring their instrument, music, and a notebook. I bring my flute. Students need to have a music stand, music, a notebook, and a working instrument. I am well-versed in all areas of classical music, especially new music. My primary instrument is flute, but I also enjoy teaching beginner piano, recorder, and music theory. she has got a very lovely and cheerful personality.It made me really want to practice more piano even though i haven't played it for months. I teach to all ages of students. I work with each student at their own individual level and pace. I will alter my teaching methods depending on what the student is trying to accomplish. It's a blend of fun and enthusiasm for music while maintaining a firm discipline for technique. I am a professional flutist from Southern California. I have my degree in flute performance from CSUN. I have played professionally since 1996, playing freelance in many orchestras across Southern California. I am great with kids, and people of all ages. I can help you achieve your desired level. I spent 6 years teaching music to middle school students at 2 different schools. I also taught for 5 music schools. And also taught privately in my home or student's homes for 28 years. I have also been playing piano for 41 years. I teach piano as well. I provide a notebook and some warm-ups, occasionally some solos. The student will have a music stand, metronome, flute, music books. I teach flute at the New School for Leadership and the Arts. I'm happy to work with beginners who are also learning how to read music and play in ensembles. I teach to the abilities, passions, and ambitions of the individual student, ever pushing their musicianship and proficiency on the instrument. 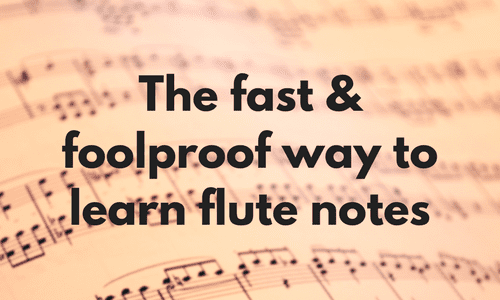 I teach flute primarily through the tried and true Rubank method. Students will learn how to properly care for the instrument, how to read music, music theory, instrument technique, practice techniques, ear training (how to play by ear), and repertoire. I also employ custom exercises specifically for flute to help my students progress the fastest. Hello potential students! I have a B.A. in instrumental music education and composition. I have taught private lessons for over 12 years. Teaching private music lessons is my primary job, so I have much experience and wisdom compared to teachers who teach "on the side." Students of all ages stay with me a long time because I am very flexible in my teaching and know how to interact with many personalities and learning styles, producing great results and progress. My specialties are piano, woodwinds, and music technology (i.e. recording and production). Kyle is a great piano teacher! He is very patient with my 12-year old son. Just yesterday he referred to him as “fun Kyle” because he teaches him small songs on the side that he can show friends and family or are for upcoming holidays. He’s always punctual and respectful of our family and home. I’m grateful to have found him! Kyle is patient and a great instructor. I currently take flute lessons with Dr. Naomi Seidman at Penn State. This allows me to keep up to date with pedagogy techniques. I also have an understanding in music theory and pedagogy. Hi! My name is Kyle. I am currently a music education major at Penn State University with an emphasis in strings. I have played the flute for 10+ years and the bass for 7+ years. I have experience teaching students pre-k-12. I have a unique approach to teaching music. I am a student-centered teacher. I treat my lessons and classes in a way that promotes student involvement. I have knowledge of music theory, history, and music pedagogy. I have expansive knowledge of flute and bass repertoire. I also have a lot of playing experience in many settings. Settings include churches, pit orchestras, solo recitals, and ensembles. Please check out my website, kylesiskron.weebly.com for a more expansive bio and experience list. I always begin lessons with some form of warm up to focus on beauty in tone and then I follow that with exercises that build technique. I am happy to work with students with whatever method book they are currently using but I am also happy to suggest method books and literature that I feel could further guide their growth. My lessons are very student-centered in that I see what the student's goals are and work from there. I adjust my lessons based on how the student is performing that day. I am happy to teach students of any age and of any ability level! I am a certified teacher and work with children daily. I’ve been playing flute for 25+ years and can help you reach your goals of improving your playing, playing your favorite songs, and preparing for that upcoming performance. I have a positive and encouraging personality and look forward to helping you play your flute beautifully and with great technique. I have played flute for 25+ years and went to college with a band scholarship. I currently play in my church orchestra every week. I work in education and enjoy encouraging children to reach their goals and have fun along the way! I love music and want others to feel the same passion I have for music. Music has been a part of my life for as long as I can remember, acting as a universal language that provides a unique way of empathy and connection in our lives. As a teacher, I like creating a personally tailored repertoire that challenges and explores that specific student's potential and strengths. I value progress and skill-building, but over all, I want my students to be happy and excited about whatever music we're working on! Flutist Sally Hwangbo was exposed to a lifelong fascination of art and artistic values from a young age due to her painter mother. As avid fans of classical music, Ms. Hwangbo’s parents helped her realize concepts of beauty in an artist’s interpretation through both visual and musical arts. Her first experience with a musical instrument was at the age of seven playing the piano. Thanks to the support of her parents, Ms. Hwangbo was opened to variety of musical instruments. She enjoyed a period of musical exploration and discovered the flute at eleven years old, which instantly captivated her by its pure and vibrant sounds. Through her fascination of music and the flute, Ms. Hwangbo was very active in her high school’s music community. J. Sgrecci. Ms. Hwangbo recently placed as the first place winner of Stony Brook University’s annual Concerto Competition and performed her Ibert Flute Concerto with the Stony Brook University Orchestra under the baton of Dr. Susan Deaver. She has previously studied in masterclasses with internationally acclaimed flutists such as Carol Wincenc, Ian Clarke, Marianne Gedigan, and more. Currently, Ms. Hwangbo is an undergraduate student in Stony Brook University studying the flute and will graduate this upcoming May. She plans to continue higher education through graduate school in New York City next Fall. Having worked as a professional musician for several years and having had the pleasure of enjoying considerable freelance work as well, I believe that one of the first key components to succeeding and flourishing in music, as in most anything else, is the sheer enjoyment of whatever you are pursuing. My motivation for reopening a lesson studio, which I’ve entitled, “Classically Taught to Hear by Heart,” is to take the approach of incorporating classical training on professional flute techniques while teaching students to learn to play by ear using their preferred music venue for practical application of these techniques. How fun is that! I obtained a Bachelors Degree in Music from Western Washington University and began teaching privately in 1989. After several years of teaching, I married, had my daughter, and took a long sabbatical to stay at home to raise her while continuing to perform freelance jobs throughout my community. I have had the pleasure of recording my own CD's as well as recording with other professionals such as Randy Oswalt who played guitar with artists such as Bob Seger, Ted Nugent, Iggy Pop and many more. I've also done studio recordings for television commercial sound tracks with my previous Woodwind Quintet "Northern Winds" on behalf of the Spokane Symphony. echniques while teaching students to learn to play by ear using their preferred music venue for practical application of these techniques. I am of the belief that learning classical techniques to build a foundation enables you as a musician to navigate every venue. I’ve met numerous musicians, or “wanna be musicians,” who have a great deal of passion and even talent, but no technical capabilities to excel, and they possess an inability to “play with others” if you will. 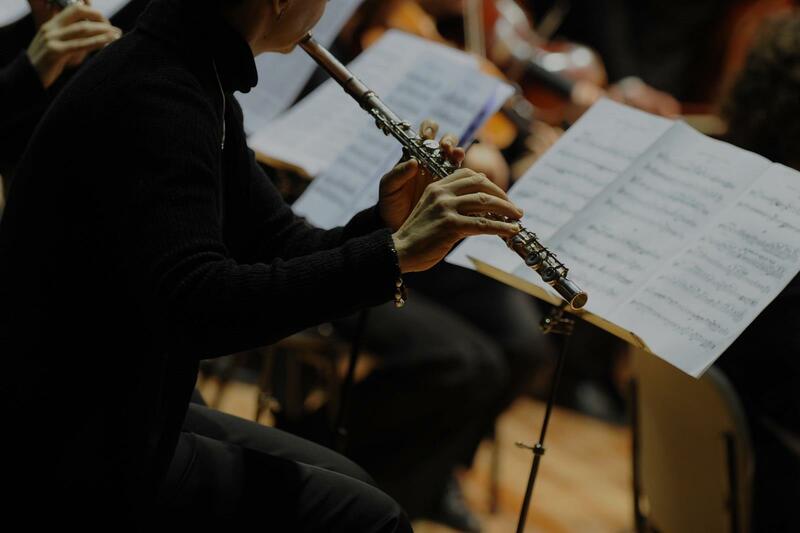 You can practice feverishly for hours reading and playing notes, but if you are unable to hear and feel what others around you are playing, all of your counting, tapping time, and blowing notes can fall flat. Fear not, I’m here to help eliminate that potential problem. If you’re ready to build a foundation in music and have some fun while putting in some hard work, give me a call or shoot me an email for an interview. I look forward to hearing from you soon! Can't find a teacher in Post Falls, ID? Learn to Play the Flute: Your Top Challenges, Resolved!